New Infographic what counts as a view on Social Media ? When checking your video analytics, have you ever wondered what constitutes a video view? With so many platforms and questions as to the ROI of your video, how do you realistically measure success? We have gathered a few easy stats to help guide you on your journey to marketing stardom. It is easy to say your video has been a great success because you have 1,000 views on Facebook, but is this really the case. Is your video on Youtube with only 30 views more of a success. Well, check out our infographic on video views to find out more. 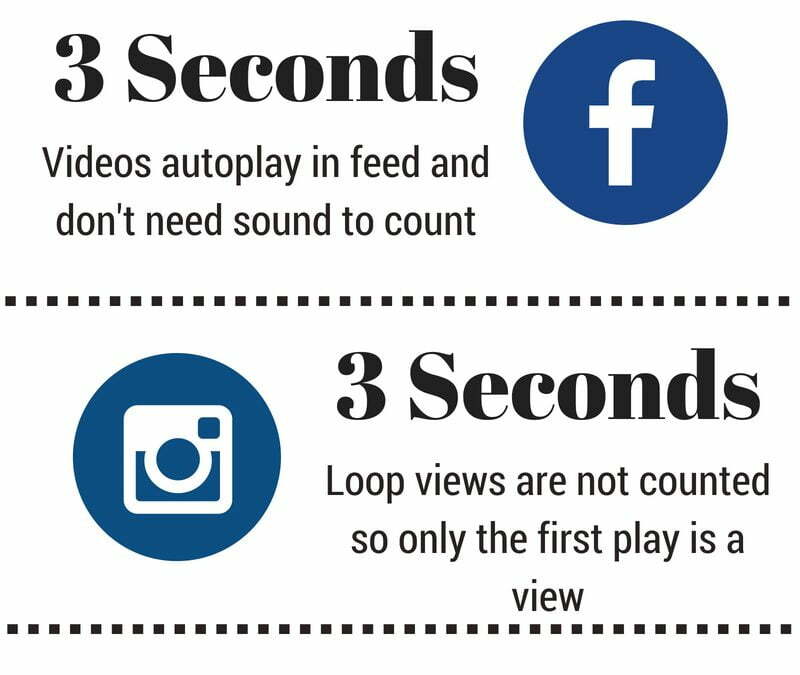 Facebook, Twitter, Instagram and more all rely on just 3 seconds to constitute a view. How much value is there in 3 seconds. What can your video achieve in 3 seconds? This is where you need to stop using ego metrics and look deeper into view times and engagement. Ignore the views and start looking at the clicks, comments and shares. YouTube seems to set the gold standard however and a view only counts if the video has been watched for around 30 seconds. Why the difference? Well, this week all became clear when Youtube started to mess around with the subscriber algorithm. In summary, don’t rely on the easy goal of getting Facebook views, they really don’t count for much unless you are getting and engaged response. Dig deeper and be more like YouTube.